A while ago we were with some friends when the conversation turned, as it always does when the other person is a traveller, to miles and points. The wife was unleashing her frustration about being unable to get the short-haul redemption seats she wanted to fit around her kids school holidays. “But John is BA Gold and, as he flies to New York every fortnight on BA, is clearly not short of Avios points. Why don’t you just book a Gold ‘double Avios’ ticket?” I said. This was met with confused looks all around. For some reason, British Airways does a bad job of communicating Gold Priority Rewards to its Gold members. What is a ‘Gold Priority Reward’? 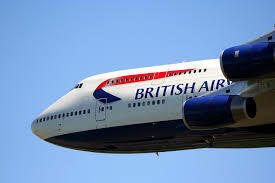 Very simply, a British Airways Gold member can book a seat on ANY BA flight using Avios. The catch is that you have to use DOUBLE the normal amount. You cannot use an American Express 2-4-1 voucher. Your flight must be booked more than 30 days before departure. There is some further information on the BA Gold benefits page here. Normally, these rewards are poor value for long haul. Let’s take one of our regular family runs to my sister-in-law in Dubai. 4 Club World tickets on a peak day, including one on an Amex 2-4-1, cost 360,000 Avios. Using a Priority Reward, it would cost a crazy 960,000 Avios – plus the standard taxes. You won’t catch me doing that in a hurry. There is one catch. You can’t use a Gold Priority Reward on a BA CityFlyer service which means all of the short-haul services from London City Airport. This is because, technically, CityFlyer is a separate business inside British Airways and not treated as part of the ‘mainline’ operation. Strange but true. Are they a good deal for short haul though? For short-haul European bookings, these rewards have some use. Let’s take our standard run to Hamburg to visit the parents in law. A standard Avios reward ticket on a peak day is 9,000 Avios + £35 taxes. A ‘Priority Reward’ would cost me 18,000 Avios + £35 taxes. In theory, changes to Gold Priority Rewards are meant to be free although I have had mixed success with that in the past, and it is not written anywhere that this should be the case. Importantly, I can cancel the BA ‘Gold Priority Reward’ and switch to a normal reward at any point as long as seats open up. Let’s look at the costs here. If a flight has no Avios availability, it is likely to be a busy flight. This means that the cash price is also likely to be higher than average. Let’s assume we are heading to Heathrow from school on a Friday afternoon and need to be on a particular service. You’d be looking at £175 return to Hamburg for cash in Economy. Knock off the £35 Reward Flight Saver tax charge and I am saving £140 for using 18,000 Avios points. This is not the greatest use of Avios by any means – we are looking at 0.78p per point.. However, I am locking in a hard cash saving and I get to travel on the exact flights I want. 0.78p per point is also not a terrible deal. The best use of Gold Priority Rewards flights is for ski resorts at February half term. British Airways likes to push up economy tickets to £500 if you want Saturday to Saturday (which is what the hotels want) and this is an excellent way to avoid that. It arguably justifies a push for a Gold card on its own if you are getting close. If you are Avios rich – and especially if you got most of your points from work-funded business travel and do not need to justify a minimum value when you spend them – the Gold Priority Reward can work well. This article has good timing as I’m considering trying to aim for gold purely, just to make use of this benefit, to access RFS flights to Spain as I am booking lots of lights there, many at peak times. Although for the future I have a good idea at t-355 the dates I need to fly.fir example august 18 flights are already booked. May half term , next year, could cost £1200, in economy, on various airlines on a direct flight. I can get there via Madrid, using Avios, and a connection but my wife isn’t that keen. Jees, wouldn’t it be cheaper just to move to Spain?? One of us has, hence the consideration to get gold !!! That’s what I’m thinking, positioning flight in Europe on BA. I was close to booking something this week but I think I need a bit more planning plus the thought (although I appreciate you do this all the time) of getting on a flight, to come straight back, even in Qatar business does not fill me with glee. Could you do something indirect involving Vueling on some of the sticker dates? Half term hol dates are not always the same in Spain, Germany etc. and Vueling has a wide network of flights landing in Spain from other places you could reach on Avios bookings. The LGBT slanted travel site Rob mentioned on a post earlier this week had an entry about a very roundabout trip to Vegas that netted a load of tier points, I’ll see if I can find it for you. Not sure if it is even still valid…. If you need to connect in Madrid, then you’re looking at 6k+4k = 10k (off peak) to 7.5k+4.5k=12k Avios (peak) each way (plus £35 each way). The Gold Priority Reward doubles that to 24000 Avios peak. So £240 (plus £35) each way per person. And that’s after you’ve managed Gold! I can think of many, many, rational (and not so rational) reasons to attain (and maintain Gold), but I am not so sure that this is one of them. Extra hassle (an additional connection?) and arguably not as much cost benefit as assumed? Although maybe the numbers could work quite well for you. Yep, never had a problem getting them to waiver the fees. this boils down to a decision of whether he wants to sell avios to BA for 0.78p each. GPR’s are the 2nd benefit listed and explanation is pretty clear! People do not read this stuff! That is very true…..even on here, and gets very annoying. Can cabin upgrades be booked using Gold Priority Awards too? No, just de novo all-Avios redemptions. Your comment about Salzburg in February mid-term ski break is spot on. I had to use double Avios on LHR-INN sector on 11 Feb (others were standard Avios). That trip is probably selling for £670 round trip.